It’s feeling like summah, summah, summah time (and yes I did just sing that out loud!) Spring is my favorite season, but there is something special about summer. Long days, twinkling lights overhead while enjoying an el fresco dinner party, floating around on pool floats with a drink in hand soaking up that sun…. aaaah summer, you truly are magical. My favorite drink of summer is the daiquiri. 3 simple ingredients (sugar, lime and rum) come together for the perfect sip that is beautifully balanced. 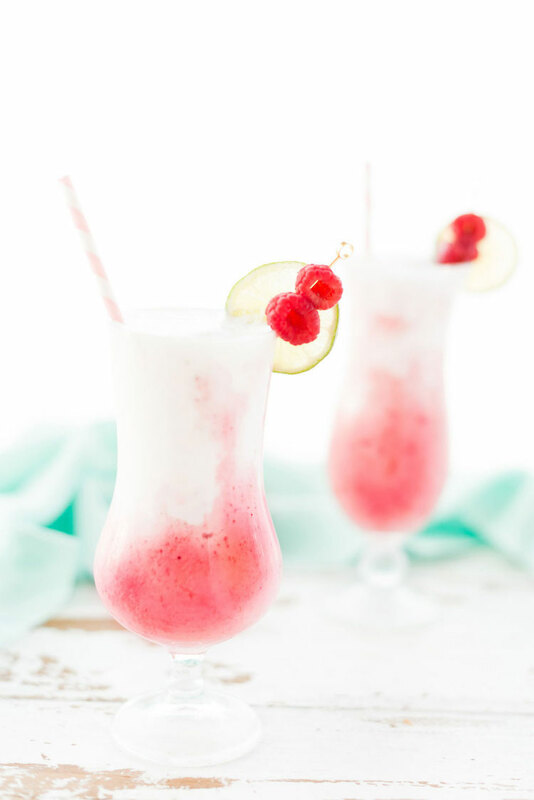 Usually I make them served up, no blender required, but sometimes you just need a boozy slushy to keep cool. And because boozy slushies are plain delicious! I recently made two frozen daiquiris to enjoy on an unusually hot day here in the Bay Area. One was strawberry raspberry and the other coconut, the former perfectly tart and bright while the later creamy. I couldn’t decide which I liked better, so I decided to combine them- best idea ever! 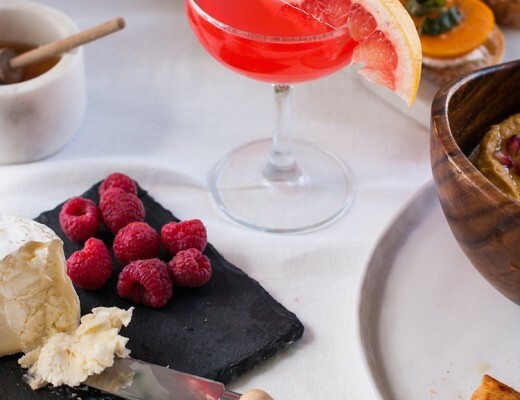 This layered daiquiri is the ultimate summer treat. 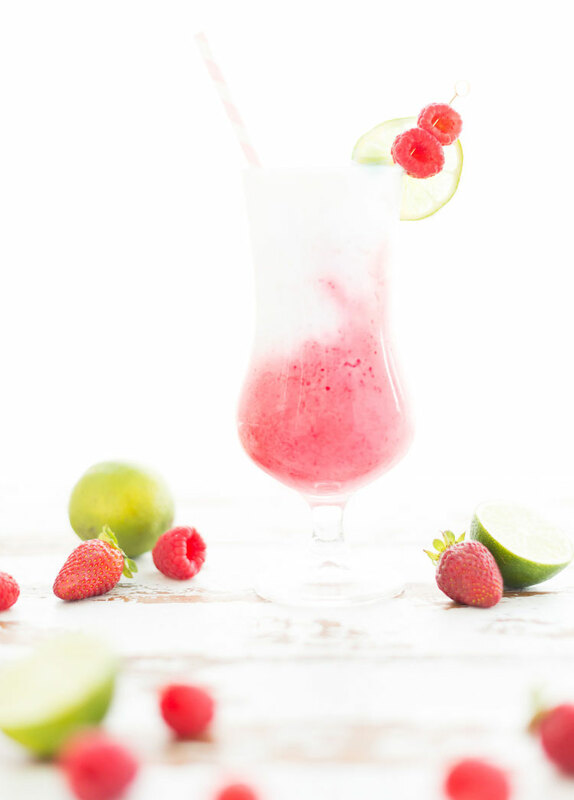 Move over boozy popsicles, frozen daiquiris are the new hit, or at least I hope so! A little history on the of this tantalizing tipple (you can head here for the recipe if you want to skip the nerdy cocktail lesson). The daiquiri was a invented at the El Floriditia bar in Havannah. They drew a crowd from far and wide, including Hemmingway, who wanted try these tipples. There were many variations of the now iconic drink on their menu, the most famous being the Daiquiri #3 with Maraschino liqueur that was said to be Hemmingway’s vice. It even received the nickname the Hemmingway Daiquiri for its mostfamous and frequent imbiber. 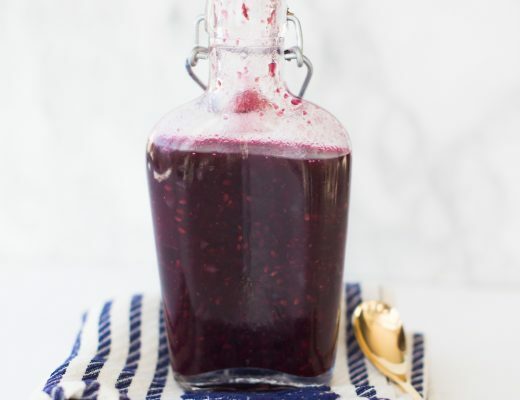 Although, he preferred to drop all the sugar and doubled the booze in the recipe which resulted in a drink worthy of his tolerance, but was unbalanced. I prefer the traditional recipe for the #3 and even like to serve it up blended! The blender was invented around the time Daiquiris were in their heyday. They received one at El Floridita and decided to whip up their famous drink with some crushed ice. It was an instant hit! 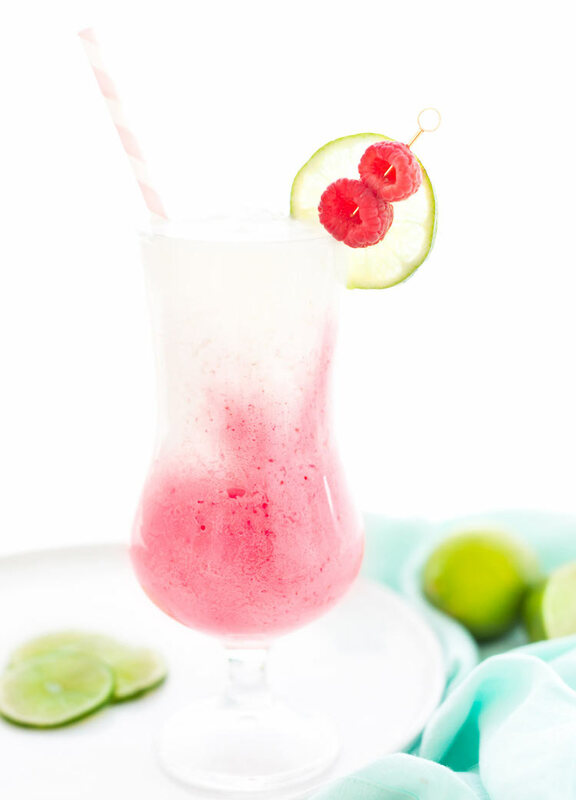 The news of the frozen daiquiri spread quickly and bars around the world began to offer these tart rum slushy. And the rest as they say is history! 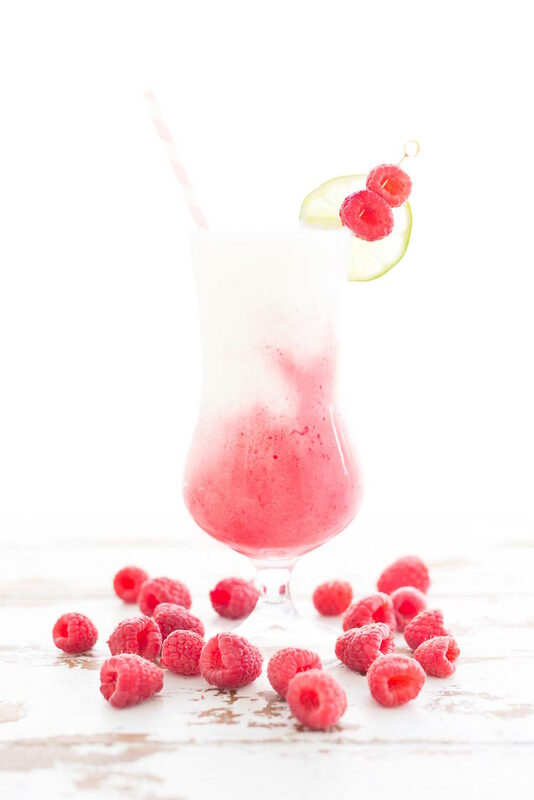 Get the recipe for the Coconut + Strawberry Raspberry Frozen Daiquiri over on Sugar & Cloth.